Change is in the air this week with the upcoming launch of our new community platform and 4 additional supported currencies in the Airspace Store. Starting today, you can become a contributor to Developer Labs. Plus, the latest version of LeapTrainer, an interactive graffiti installation, video jogging, and constructing a robot arm. In his latest version of LeapTrainer.js, roboleary adds the capability to learn and recognize motionless poses. Created by Nathan Selikoff, LeapCircleTouch is a simple dexterity test for the Leap Motion Controller. To see the latest UI elements and sample code shared by the community, check out Links & Libraries. You can share your code on the Projects & Collaborations forum. 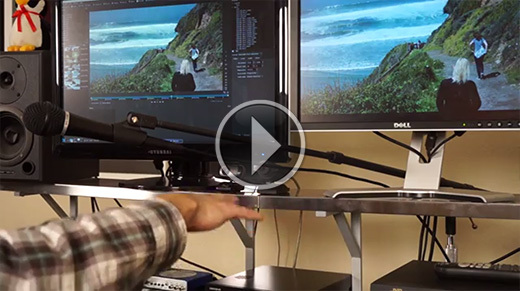 Simple jog and shuttle controls for video editing. With Shotcut – a free, cross-platform, open-source video editor – you can use hand gestures to navigate through video. 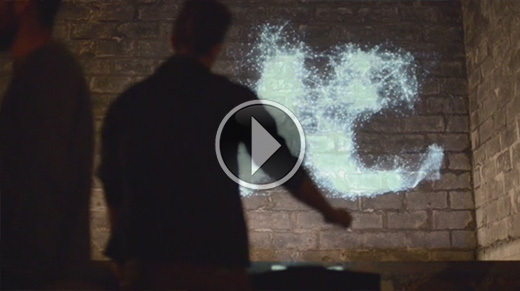 DRAW 2 is an interactive installation in Bordeaux that lets you sketch graffiti-style projections onto a wall. Sensomusic posted a video of two patches for Usine – a modular music app designed for live performance and real-time installations – that emulate a theremin and piano. 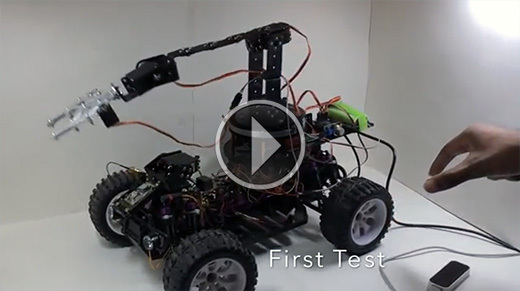 Robotic arm built on a remote-control car. While we’ve seen our fair share of robotic arm controls, Mutasim Ali’s time-lapse construction video takes us through the whole journey – from tinkering to testing. While we’re still hammering out the details for next month’s developer meetup, you can subscribe to the latest updates on our Meetup page. 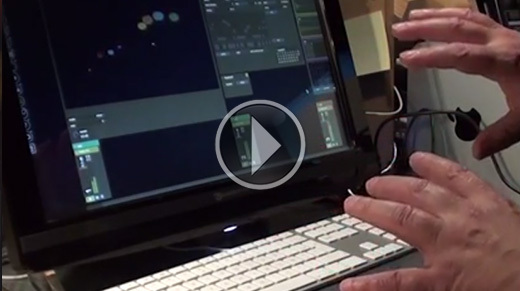 Are you giving a Leap Motion Controller demo? Looking to meet and collaborate with other developers? Post your event notices in the Events & Meetups forum.